provides unique landscape design for those who desire smart and attractive solutions for their properties. Based in Lancaster County, just outside Lancaster, Pennsylvania, I serve primarily Central and Eastern Pennsylvania clientele. From hourly consults to full masterplans, I will help you take your project from vision to reality. I am not a design-build firm, but rather a sole-proprietor with the ability and talent to help make your projects better. I consult with homeowners, developers, architects, engineers, contractors and realtors to help strengthen their visions and elevate their projects to a higher level of aesthetics and a stronger sense of place. The goal is to create comfortable and attractive environments that respect the context of the site, yet provide unique solutions to the challenges each site imposes. Beauty and harmony occur when the timelessness of old world craftsmanship comes together with contemporary materials and innovative ideas. 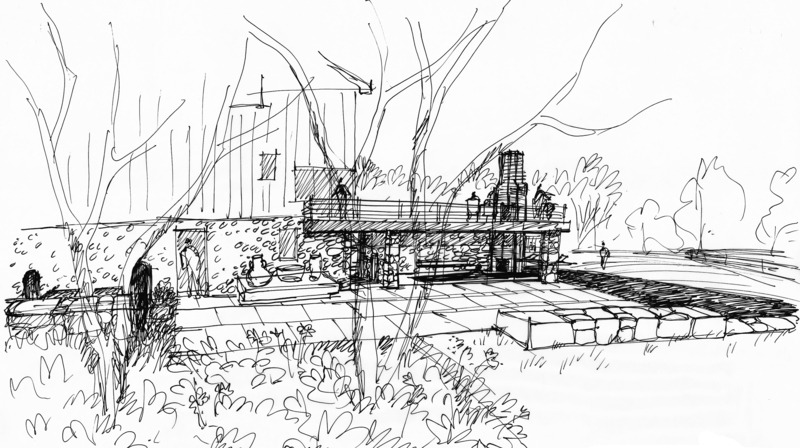 Landscape Architecture is the result of an ongoing dialogue between Designer and Client – it is the refinement of both instinctive and intellectual ideas expressed through thoughts and sketches. Composition of these ideas are determined in the plan, a bird’s eye view scaled drawing used to communicate to the client and the contractor.